So we all know about the interview etiquette; dress smart, smile often, and act enthusiastic. Throw in the advice about being 15 minutes early, and you are supposedly all set! But are you? 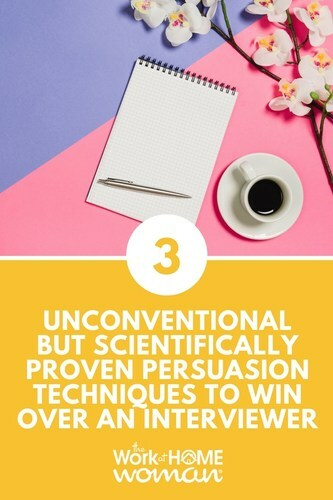 There are a few hidden persuasion gems straight out of the psychology textbooks that could improve your chances of winning over the interviewer way more than the 2,000 dollar suit you spent all your life savings on. Intrigued? Dying to know more? Hang on. Presenting the three rather eccentric but totally plausible techniques that will help you win over an interviewer. Chad Higgins from the University of Washington and Timothy Judge from the University of Florida suggests that interviewers are often deluding themselves about how they make decisions about the successful candidates. All other factors such as background, experience, and qualification remaining the same, what mattered most in leaving a lasting impression on the interviewer was this—did the candidate appear to be a pleasant person? Those who had managed to “charm” the interviewer were very likely to be offered a position. Some did this by chatting about topics unrelated to the job but of interest to the candidate and the interviewer. Some had made a special effort to smile and maintain eye contact or simply praised the organization. This torrent of positivity paid off in a big way, convincing the interviewers that such positive and socially skilled applicants would fit well in the company and should be offered a position. In this hilariously titled paper, Consequences of Erudite Vernacular Utilized Irrespective of Necessity: Problems with Using Long Words Needlessly, Daniel Oppenheimer concludes that use of big, scary, overcomplicated words make people look less intelligent and can even alienate potential interviewers. In a series of studies, he examined the complexity of the vocabulary in certain passages and then asked other people to rate the intelligence of the person who wrote the passages. The simpler language resulted in a significantly higher perception of intelligence, whereas the needless use of difficult language made the person seem foolish. These results also suggest that you can increase how bright people think you are by merely simplifying your language. Edward Jones and Eric Gordon from Duke University showed study participants a tape recording of a man telling his life story where he talked about how he had not completed a school semester because he had been caught cheating and had been expelled. The tapes were edited so that half of the participants heard this negative story toward the beginning, while the others heard it toward the end. When the cheating was mentioned at the start of the tape, the man appeared far more likable than when it was mentioned toward the end. Numerous other studies have also shown that people are deemed much more trustworthy and likable when they share a negative story about them at the beginning of the relationships rather than later. How Can You Use These Techniques To Ace Your Next Interview? 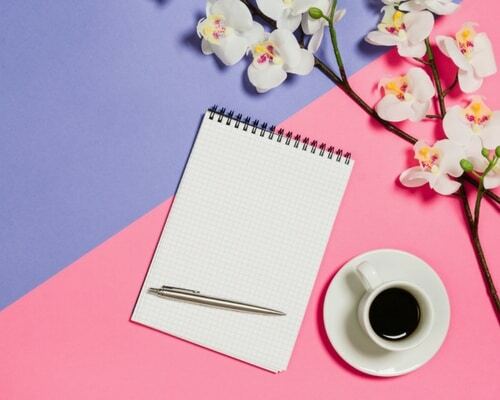 Find something that you truly like about the company and let your opinion be known, feel free to give a genuine compliment to the interviewer or just chat about a non-job-related topic that you and the interviewer find interesting. Avoid the temptation to use big words in your interview or on your resume. Use easy words and a conversational tone. If you have the proverbial skeleton in the closet or even something as harmless as a yearlong break in the Bahamas, mention it at the start of the interview rather than waiting until the end. Presenting weaknesses early on is seen as a sign of openness, and you will be rewarded with more openness from the other side. So there you have it; the three unconventional but hugely effective techniques to win over interviewers. For more actionable persuasion tactics, get your paws on the free copy of The Non-Icky Persuasion Toolkit: Use The Psychology of Persuasion to Sell Your Ideas, Your Work or Yourself!